Posted on February 6, 2019 at 11:01 am. The owners of Melbourne Storm have made huge dividends from the sale of the National Rugby League team’s poker machines. The move comes as a number of Victoria’s leading football clubs look to lessen their reliance on gaming revenue. Gaming revenue remains the backbone of almost all NRL clubs in New South Wales and Queensland, which would struggle to survive without money coming in from pokies. 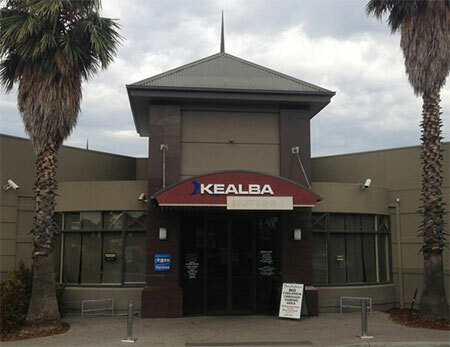 However, owners of Storm took a bold step last month by selling Kealba Hotel and its 172 poker machine licences to IPR Hotels. The hotel, located between Keilor and St Albans in Melbourne’s north-west, became the venue where punters gave up the fourth-highest sum of money in 2018 with losses amounting to almost $20 million. The pokies licences alone generated about $13 million for the club according to figures from the Victorian Commission for Gambling and Liquor Regulation (VCGLR). If the price of the hotel – which cost $10 million in 2015 – is added to that of the licences, then one can expect significantly higher figures. Despite confirming the sale of its premises, the club did not disclose the price. Alliance for Gambling Reform director Tim Costello has welcomed the move and appealed to the new owners to operate the facility more “responsibly than Melbourne Storm, which was trading the maximum 20 hours a day, seven days a week in one of Melbourne’s most disadvantaged communities”. The Brimbank local government area had the highest gaming losses in Victoria last year, becoming the first council in the state to reach the $140 million mark. Most NRL clubs rely heavily on revenue generated from pokies games. Profits from gaming machines in NSW are expected to increase by 12 per cent to $7 billion by 2021 according to data from the state treasury. In 2017, Canterbury Bulldogs and Penrith Panthers made the most earnings from gaming venues by generating over $65 million from their venues. Last year, Storm part-owner Matt Tripp, who also acts as the CEO of BetEasy, revealed plans to increase the club’s membership base to 50,000 and move away from gaming revenue.